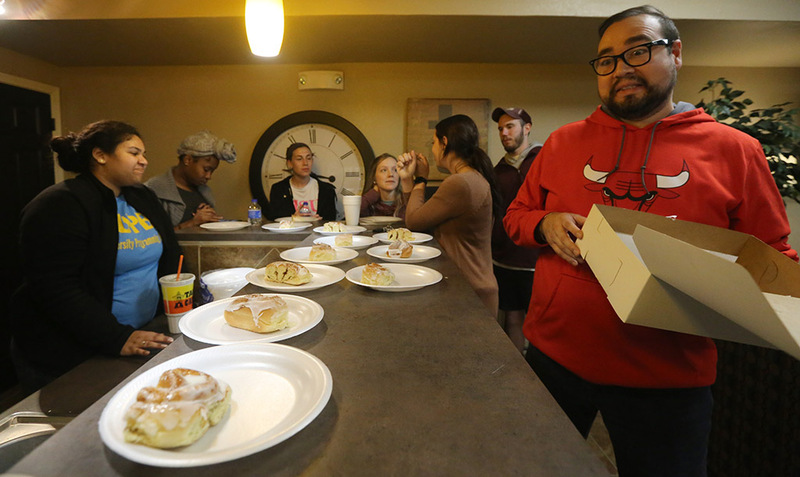 To give students a break from their studies and enjoy a late-night breakfast, the Sundance resident assistants hosted Late Night Breakfast in the Sundance community kitchen, in which they handed out cinnamon rolls, pigs in a blankets and fruit on March 6. The room was filled with conversations and laughter as the approximately 35 students enjoyed the food provided. Maritza Ferritz, junior biology pre-physical therapy major, said that her favorite part was the fruit. “I go to all of the events that I hear about because of the free food,” Ferritz said. Music was playing as students waited in line to fill their plates with delicious breakfast treats. Sundance 2nd floor RA Jose Torres, sophomore finance, was one of the organizers of the event and said the event was organized at the beginning of the school year. 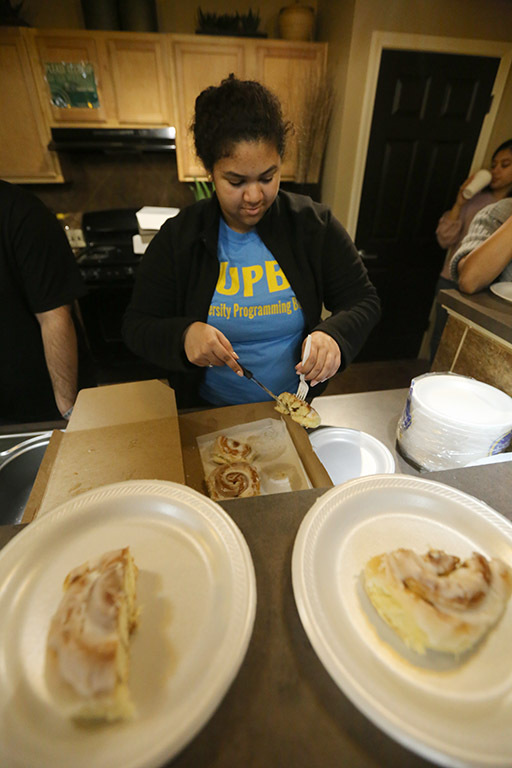 “We wanted to do a late-night breakfast because everyone loves food, everyone loves breakfast. The whole event actually cost less than $80,” Torres said. The only complaint that students voiced was the absence of pancakes. Other students shared Torres’ sentiment and also said they wished there were pancakes. 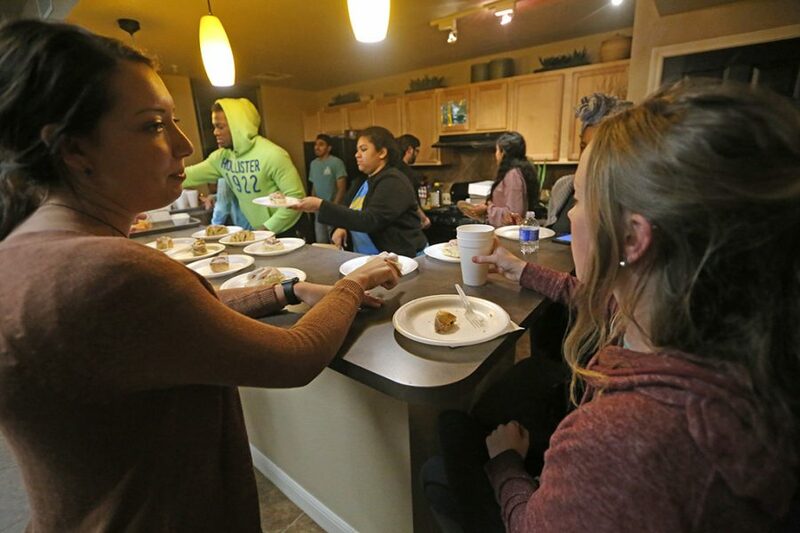 The event provided students from all of the dorms a chance to relax, socialize and eat breakfast for dinner.